The word on the street is that the Blue Line, and several other area Metro lines will be closed for an extended period of time. That inevitably means that you’re probably going to be in your car more frequently, to get to work. While we can’t get you out of the impending traffic nightmare that’s ahead, we can get your car prepared for those extra miles, and wear and tear – and save you some money too. For starters, when was the last time you had a fuel maintenance service on your vehicle? Many people forget how dirty fuel injects and filters can impact their car’s fuel economy. And you’re going to need the best fuel economy possible, heading north toward Washington, D.C. each day. At Steve’s, we offer a BG fuel induction service that will improve your fuel economy, and get your engine running more smoothly. 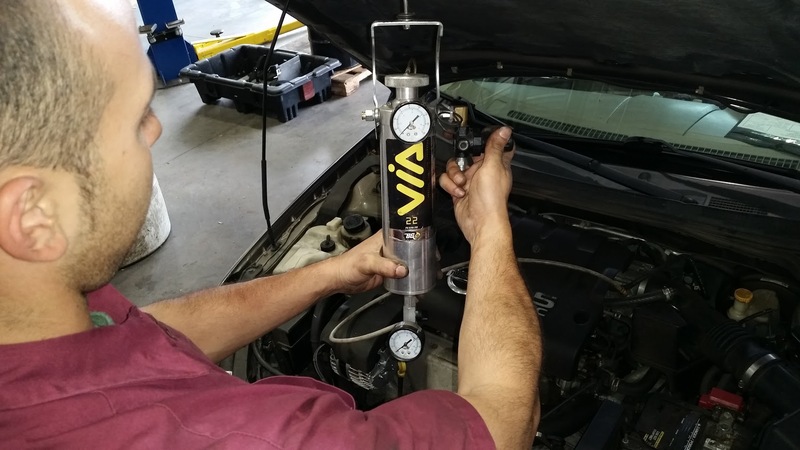 During the service we’re able to clean the fuel injectors, which will help balance your vehicle’s air and fuel ratio. It’s a service that should be performed every 15,000 miles, but it’s especially important now to catch up on it, now that you’re going to be on the road more. You also should have your air filter checked regularly. Did you know that a clogged air filter can reduce your fuel economy by 15%? That really adds up! Another thing you’re going to want to invest in now that Metro is going to be closed for repairs is your tires. A lot of people don’t realize this, but your tires can have a big impact on your car’s fuel economy, and your stopping speed. It’s very easy for one of our technicians to take a look at your tires and assess the condition, before making some recommendations. 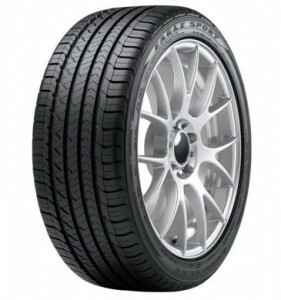 Goodyear Assurance Fuel Max tire is an All Season Tire that can help you save gas moneysome serious miles with your car’s fuel economy, then we’d have to recommend the Goodyear Fuel Max tire. That particular tire actually has a fuel-saving compound in the tread that helps to reduce energy loss as the tire roles. It can save you up to 2,600 miles worth of gas over the life of the set. The Fuel Max tires have the added benefit of a wet tread zone with dual aqua channel grooves that improve traction on the wet roads. So even on a rainy commute into D.C., you’re covered. some serious miles with your car’s fuel economy, then we’d have to recommend the Goodyear Fuel Max tire. 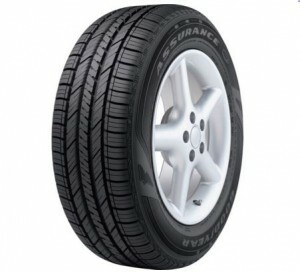 That particular tire actually has a fuel-saving compound in the tread that helps to reduce energy loss as the tire roles. It can save you up to 2,600 miles worth of gas over the life of the set. The Fuel Max tires have the added benefit of a wet tread zone with dual aqua channel grooves that improve traction on the wet roads. So even on a rainy commute into D.C., you’re covered. We all hate it, but short stops and being cut off are an unfortunate part of having to drive for the morning commute in Northern Virginia. And if you want to avoid an accident, then it’s going to be important that you get tires for your vehicle that are designed to deal with those challenges. Especially for when you’re trying to quickly merge or switch lanes, having a sporty performance tire with good stopping power is going to be an asset. Especially with the huge influx of vehicles that will be on I-95 and I-66, you’re going to need all of the help you can get. That’s why we would recommend the Goodyear Eagle Sport All Season. The Eagle Sport was designed with stopping ability in mind. Having those extra couple of seconds, thanks to a good set of tires, can be the difference between a near-accident and damaging your vehicle. It has an asymmetric tread that makes handling easier, and it has a fantastic grip for all seasons and essentially all weather conditions. Its full-depth siping and biting edges help with its stopping ability and response. Regardless of if you’re worried more about fuel economy, or stopping speed, both tires are a great investment to make for the coming months. You can’t change the Metro being closed, but you can do everything you can to make sure your car will have peak performance while you’re stuck in the daily commute traffic.